Counterintuitive: Did Samsung emerge a winner? After Samsung’s stunning $1 billion defeat in court at the hands of Apple (s aapl), calling it a winner might seem awfully far-fetched. But that’s the argument some are making about the South Korean conglomerate. In a blog post, Robert Scoble said while Samsung will take a big PR hit and lose $1 billion, it was worth it to copy Apple because it vaulted the company ahead of other smartphone rivals. Samsung also sells an array of products that Apple doesn’t and setting up the comparison with Apple worked out well for the entire company, Scoble said. “It only cost $1 billion to become the #2 most profitable mobile company. Remember how much Microsoft (s msft) paid for Skype? $8 billion. So, for 1/8th of a Skype Samsung took RIM’s (s rimm) place and kicked HTC’s behind…I bet that RIM wishes it had copied the iPhone a lot sooner than it did. So does Nokia (s nok), I bet. Samsung is a much healthier company than any of those BECAUSE it copied the iPhone,” he wrote. Analyst Jeremiah Owyang, of Altimeter Group, agreed saying Samsung still comes out ahead despite the potential ban on sales and punishment. He said Samsung does $1 billion in revenue every 2.4 days. “The PR upside is that now people associate Samsung’s phone at the same competitive set as Apple’s. I just did a Google search for “Apple phone” and there are multiple Samsung links on the second half of the page. PR win: Any phone Samsung launches will be super hyped — and compared to Apple,” he wrote. Reuters also highlighted some of the potential upside for Samsung in the verdict, saying it could actually help cement Samsung’s place atop the global smartphone market. As a “fast executioner”, Samsung should be able to churn out new devices that don’t infringe on Apple patents and avoid any potential ban. And if Apple is able to get Samsung to pay $10 per device and force other smartphone makers to do the same, Samsung is still better positioned than others to absorb the cost. Samsung still faces the stigma of being a copy cat and there is the looming threat that the damages could be tripled because of willful infringement. But it might have been worth it if Samsung’s brand gets elevated to Apple’s level, said Reuters. “If anything, the blaze of publicity from the high-profile, high-stakes U.S. litigation has made Samsung’s brand more recognizable…Despite, or because of, the publicity from the U.S. case, and more than a dozen pending cases elsewhere around the globe, the Samsung brand has gained recognition — as an equal to Apple rather than merely a supplier,” Reuters said. I think it’s too early to declare Samsung a clear “winner” in this case. A lot will depend on how the damages pile up, whether it can appeal and potentially secure a licensing deal and how much future devices are impacted. Being branded a patent infringer is not something you want to brag about. So Samsung may not emerge a real winner, but the argument can be made it would accept the “loser” tag in exchange for keeping its place atop the smartphone market. nice article. and a different angle to look at samsung’s defeat. in hindsight, it might come out as a good tactic, but was it planned to be this way- losing a billion dollars?? good research on the article . hats off. And we all loose in the Apple sell-it-for-twice-what-it-is-worth world of the future. We consumers should be very afraid. Apple now has us by the BALLS and is going to use that hold to turn us upside down and shake out a bunch of extra money from our pockets. This is going to hurt the consumer a lot!!! I hate bullies and politics and that is all this is about. I bet McDonald’s wishes they had patented 2 beef patties 3 pieces of bread. Fix patent system back to what it was intended to be for and then lawsuits go back to being what they should be “is this device trying to pretend to be this other?” which stops someone releasing an iFone. As for copying, “fastest follower” is about as common a business goal as any other. if you are transparent about it, no foul IMHO. Funny thing, I bought my old samsung smartphone because it was NOT an iPhone. Samsung is not fast follower. You give the company too much credit. It’s a fast copier. There IS a difference. Yeah, Apple’s designs were completely original and didn’t at all come from what came before them. Yeah, right. No doubt this is blatant rip-off of the Palm form factor. But it was a true smartphone, with all the bells and whistles that ppl usually associate with the iPhone. That’s a full three years before Apple’s venture into the smartphone market. If Microsoft hadn’t dropped the ball, and actually paid some attention to the Windows CE OS, this misconception, that Apple invented the smartphone, would not exist. Please someone name me a samsung phone from four years ago that still has a high retail value some four years later hmm. Also walk into any mobile phone shop and you wont see the iphone mixed in with the others. It is always displayed on its own. The iPhone is not sold as a mobile phone hence Apple does not concentrate on the “mobile phone” part of its functions. A mobile computer with phone capabilities. A clunky one at that. Just got to play with a 4S for the first time ever. It’s just as choppy as any Android 2.3 phone I’ve ever seen… But Android 4.1 beat Apple at its own game… It looks And acts better. Seems like nobody really cares to consider that despite this decision, Samsung clearly did not “copy” the iphone, but instead violated Apple’s “patents”. Rectangular shaped smartphones, with touch screens, and OS’s that resemble iOS existed for years before Apple came out with their supposed “game changer”. So Apple happened to have the foresight and resources to file a freaking patent? That does not equal “Samsung copied Apple”. It equals Apple trolling for gains off its patents. That’s not a minor thing. Perhaps Samsung will sack its legal department? The two jury members that have spoken to the press say otherwise. One key piece of evidence was Samsung internal emails that basically said lets copy features. Written by a Korean or from a Korean descent…not trusted sorry. By that logic, we should not trust the judgment of an American jury in a lawsuit between a Korean company and an American company. You’re saying what some concluded after Apple sued Microsoft for copying Windows back in the 1990s. The end result of that dispute was that many PC users concluded that Apple was admitting that the Windows UI was enough like that of Apple’s to be competitive. As a result, they bought Windows not Macs. This may do the same for Samsung. It positions them as Apple’s #1 competitor, one with a very similar product. Injunctions against Samsung selling their products in the US is where the real “victory” and significant punishment will be had. Stupid article.. the real winner or loser will come in a couple of weeks when the injunctions are decided. If Samsung is barred from selling all patent offending products in the US, they’ll lose a lot more than $1b. It worked for Microsoft and Windows 3.x when they copied Apple beating out Desqview, Amiga and other bitmapped, multi-tasking OS UIs. It worked for Apple’s original Max when they copied Xerox’s Star. Apple licensed the Star innovations, not steal them. Don’t try to revise history to suit your feeble argument. Apple was Sued into licensing it. They straight Jacked the GUI, but were reeled in only because Xerox caught them trying to sue Microsoft over the GUI, in which Apple Stole. Oh sounds like a lot of what they do right now, huh? If you think Apple won, reconsider. It is the consumers who are left to their stagnated devices that have lost. It won’t be long until Apple joins the ranks of AT&T and other historical sanctioned monopolies, and soon we will be cursing at the slow rate of progress in handheld device innovation. Because we killed the innovation. Or at least prevented it from being sold here. Innovation was protected, not killed, by this verdict. Copying is not innovating. Where did you study ethics? Korea? An interesting thought: did Samsung just pay $1B to become the #2 device manufacturer? At the levels that these guys are playing at, that’s probably cheaper than authentically growing to that position. Twist it anyway you want… APPLE won. Hopefully the real winners will be the designers. Anyone who has tried working as a creative, either in product design or graphic design, in a corporate environment knows the fight with suits. Any designer worth their salt does not want to be seen as copying another’s design. Now they will at least have a little more ammunition when that corporate suit tries to demand they change their designs to something more “proven” or “safe” or what everyone else is doing. The consent decree forced Microsoft to release the Vista turd, both the Kin, kill Danger and watch the Zune die? apple contributes about 3-8% to samsung electronics’ annual revenue. I bet the main stream media never actually spelled out the #, just used ‘largest blag blah’. wise thinking man.keep it up. And in Apple’s backyard no less. Everyone of the jury may know someone who works for Apple or who knows one of them. And the quick verdict has the location advantage spelled out. I would not expect Apple gets some treatment in appellate court. Dopes. Silicon Valley also is Google’s back yard. This verdict also branded Google’s American-designed Android OS as a cheap, unethical knock-off. Korean-American Judge if you wan to be specific. And if you look worldwide, Apple is winning in the courts everywhere except one place: South Korea. So if you want to point out an inherent bias, maybe you should be pointing your finger the other way. This is simply not true they did not win in UK, Germany, Australia and a few others I can’t remember off the top of my head. 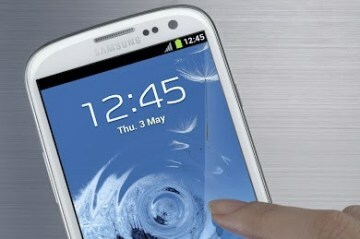 The ruled in samsungs favour, after initially siding with Apple. Completely wrong. Apple barely won favorable judgment in one out of 10 patents they filed here and there, including Dutch, UK, Germany, Australia. Not sure I understand the ‘counterintuitive’ logic. Samsung could have spent over $1B in PR to get to this point as well by drawing a comparison. A lawsuit and a loss was not required. The facts are with a lawsuit and penalty Samsung got something else a ‘copycat’ label. So why is this considered a win? ‘Counterintuitive’ argument would say that Samsung NOW has to spend even more getting the ‘copycat’ label off versus if they had pursued a $1B PR path without the lawsuit. I’m not sure how counterintuitive Scoble and Owyang are being, Ryan, considering I wrote the exact same thing. Hey Brian, didn’t see this, but thanks for sharing. Yeah, maybe not the most counterintuitive thought but most coverage right now suggests Apple won hands down. Funny because, now that others are writing what I wrote weeks ago, I’m wondering if I got it wrong in the first place. The jury verdict (ignoring appeals…) was so thoroughly in Apple’s favor that perhaps it will have the effect of limiting what Samsung and other Android makers can achieve. You fail to see the point- Apple might have “won” but the court of public opinion has spoken by now- And Samsung’s publicity has even sent them to record profits for the third quarter.. I’d say the end very well justified the means. It’s pretty simple, from a business perspective, who would you rather be? Samsung sells more phones globally than Apple; and can sell into different economic demographics. Samsung have a wide diversity of product lines well beyond consumer gadgets. And Apple are reliant (and pay a lot for) Samsung parts to make their devices work. I’d rather be Apple. Cause they make beautiful products that are hassle free. They’re not the most valuable company in history for nothing. My mom is 60yrs old and she just bought an iPad. That says alot. Do you know any 60yr olds that owns a Galaxy tab? As a matter of fact I do. I’m over 60. Hassle free? Try uploading music to your iPod without iTunes. I can easily interface with my Creative Zen on either Windows or Linux. Google “iPhone jailbreak” and you’ll see the iOS operating system itself is a hassle to many people, many who would have went with Samsung and Android long ago if it had been an option. When iPhone was the only game in town, things were much different. Shouldn’t Google be the one suing if that’s an issue? You won’t rather be Apple in a couple of years. Apple makes beautiful products sure enough, but just like whereas a man falls for a beautiful woman, when she shows her innards to be sub-par, he will eventually fall Out and find someone more suitable for his Needs, not his Eyes. Now, I’m an even more firm believer that the patent system is broken. The patent system shouldn’t allow Apple a monopoly on rectangles with rounded edges. More letters to my congressman on the way. Way to over simplify the issues – It was not about rectangles with rounded corners. But do write your congressmen, they’re not the sharpest tacks in town so just may believe it is that simple. You act like you have no knowledge of the issues in the trial. God, you have soaked up the black rectangle rounded edges propaganda hook, line and sinker. MS has just launched (with Nokia) a phone with black rectangles and rounded edges and Apple did not sue! The jury in the Same-song trial threw out the black rectangle / rounded edges claim. Please read the evidence and verdict before you comment. Cross-license probably covers it. Despite Jobs wishes, Samsung was given the same opportunity prior to trial. Since the 50’s Asian countries have been copying U.S. electronics and other technologies. Radios, TVs, computers,cars, all follow start here and are copied later by those countries. Problem is they usally end up making a better product. One only has to look at Detroit to see that. I use an Android phone because the features are clearly better than Apple. If Apple wants more consumers they should fight with a better product not a court room. Exactly. If Apple stops build better product, winning in courthouse won’t go far. It may still has lots of fans to buy already inferior and closed products, it may not be enjoying the growth it had been. Android is doing to iOS what Windows did to Mac. In fact, the US in the 1800s encouraged the infringement of foreign patents in order to jump start innovation. IP infringement backed development is the norm. Not saying that what Samsung did was right. Korea is a highly developed economy and Samsung has the capital and educated workforce to innovate without copying. However, when it comes to developing countries, it’s fairly rich of us to stifle their progress when we followed the same development path. Thats the way to turn defeat into victory so you can sleep better. Still you have a point. They basically copied and cheated their way to the top and got a slap on the wrist because of it. Had HTC or Motorola though of it first they would probably be where Samsuck is now. Copying rectangles with rounded corners… cool comment bro. As if Apple didn’t copy and cheat it’s way up. You wouldn’t be reffering to some urban legend about Xerox, would you? Or, he could be referring to this: http://www.youtube.com/watch?v=CW0DUg63lqU (We are shameless about stealing – Steve Jobs). A S’s clip is taken out of context, and misunderstood. He referring to things you see and expireance in life. Referring to his lead computer sciences engineers whom are also musicians and artists. He wasn’t referring to flat it stealing a painted idea, illegally, or in any other criminal manor. Actually, they did copy and cheat their way up. Don’t act like the Xerox case is a myth. Apple Stole the GUI, and Xerox didn’t even bother with it until they saw Apple suing Microsoft for using the GUI- Something Apple didn’t even invent, but were suing over… In essence, suing over something you stole… Yeah that sounds like what they do now, isn’t it? History repeats itself.